How many shrines do you think there are in Kyoto City? The answer is, about 800! Can you imagine how long it will take to visit all of them? 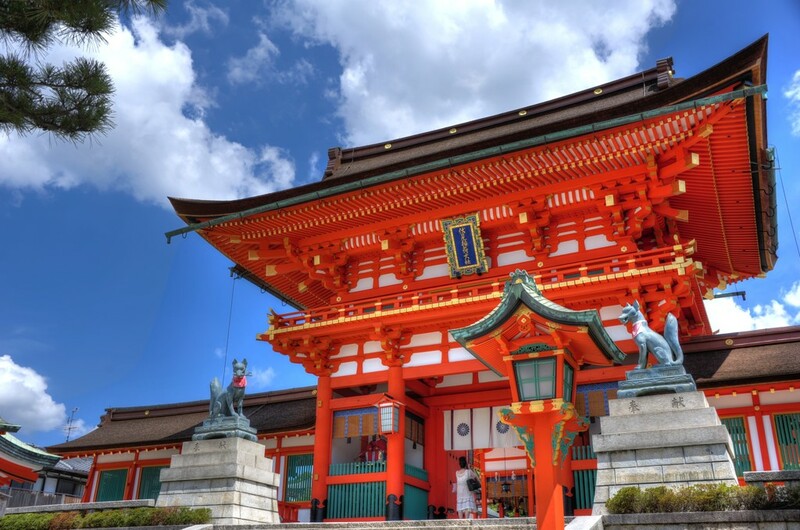 From this vast number of shrines, we’ve picked up 5 must visit shrines for you. Lately this has been the most visited site by foreign tourists, as it is well known for the Path of Thousand Torii Gates. The spectacular view of the range of vermillion gates is incomparable to anything. It is beautiful and yet mysterious. You’ll be filled with spiritual feelings as you ascend the path to summit of the mountain. 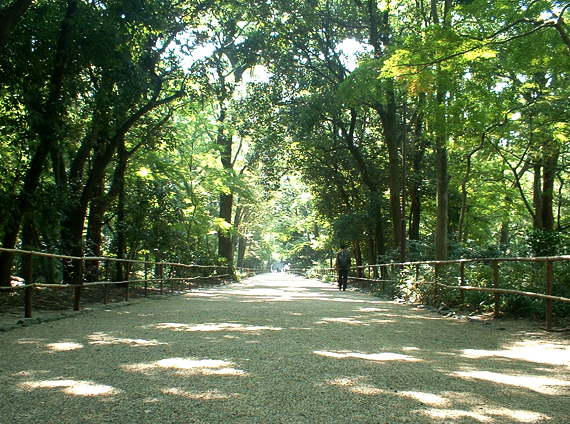 The shrine itself is located in Tadasunomori (糺の森), the large forest which is great to take a walk as it has footpaths by the streams, so it is not too hot even in summer. 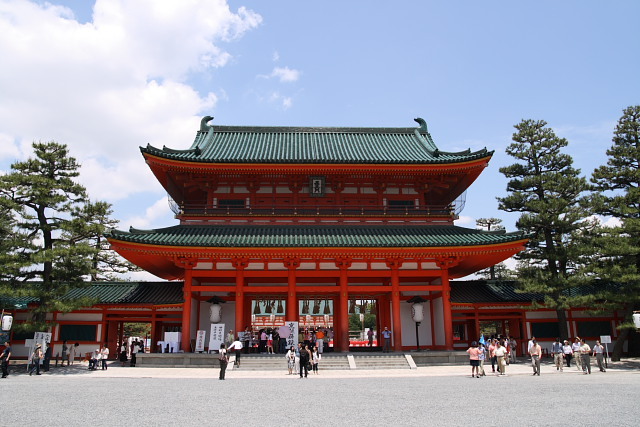 The gods dwell in the shrine are famous for marriage and beauty. Many events take place here throughout the year, Kemari, ancient football play, in January, Aoi Matsuri (葵祭) and Yabusame, Horseback archery, in May, and Mitarashi Matsuri (御手洗祭) in July, and so on. This shrine is for pray for success in study as it is dedicated to an ancient scholar called Sugawara no Michizane (菅原道真). There are statues of ox that symbolize him (because he died at the time of ox on the day of ox in the year of ox, in ancient Chinese calendar). There is also a saying that if you touch the ox statues’ heads you will become more intelligent. 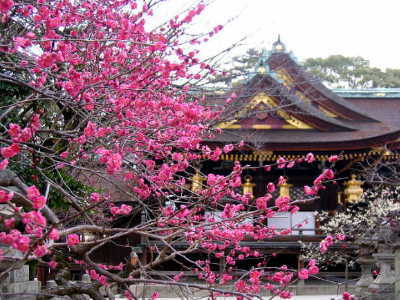 This place is famous for plum trees, it’s best to visit when they are in full bloom, during mid-February and March. 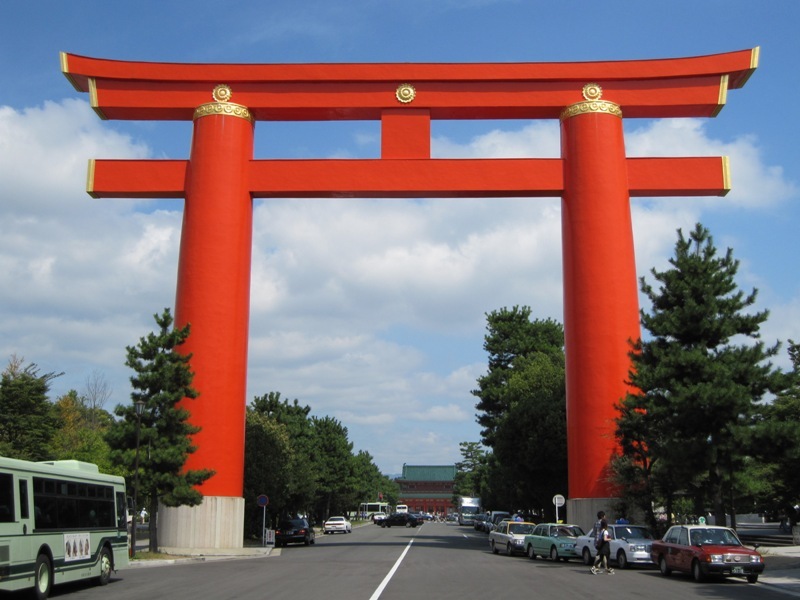 The first thing you’ll see is their gigantic, vermillion gate. It will surely pause your breath for a moment. 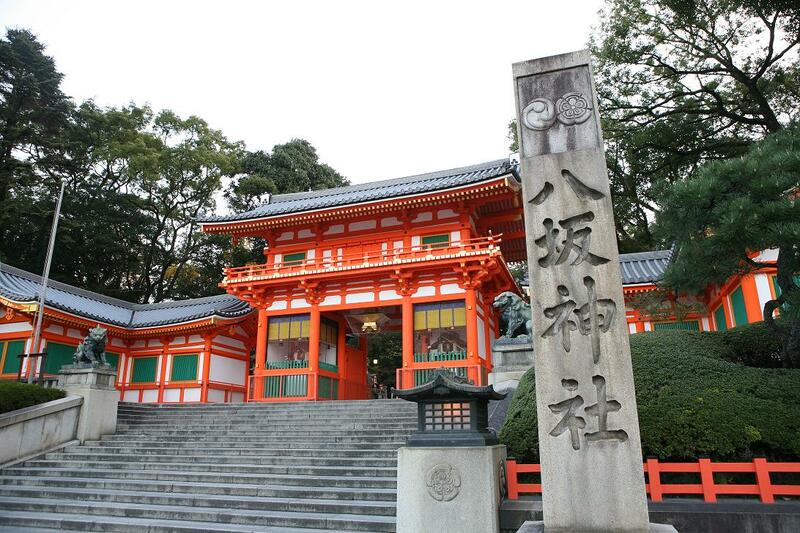 It was constructed in 1895 to celebrate 1100-year-aniversary of capital relocation to Kyoto. 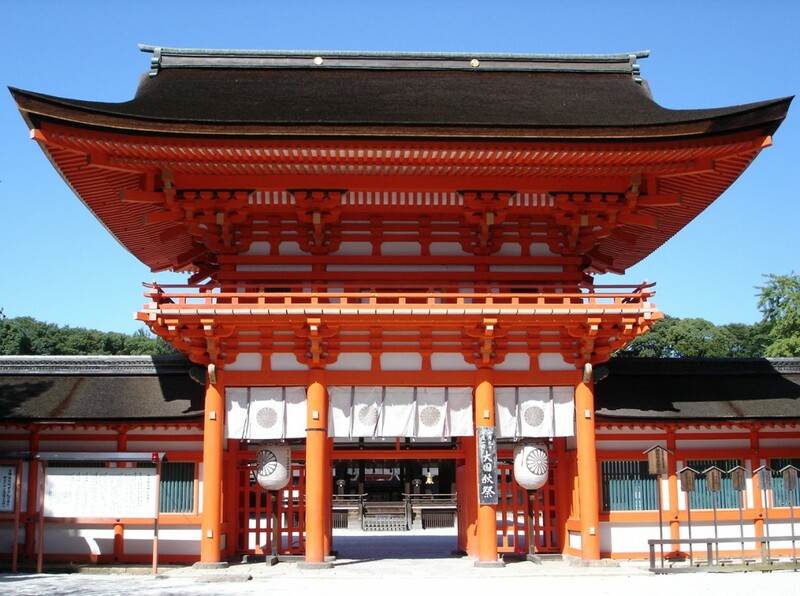 The temple was constructed based on Heian architecture, so you can feel the scent of Heian period. 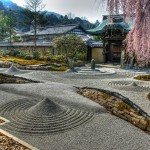 They also have beautiful gardens inside, which entertains us with the beauty of seasonal flowers. 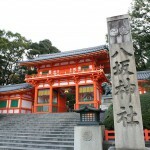 This is one of the famous spots for Hatsumoude (初詣), New Year’s visit to shrine. 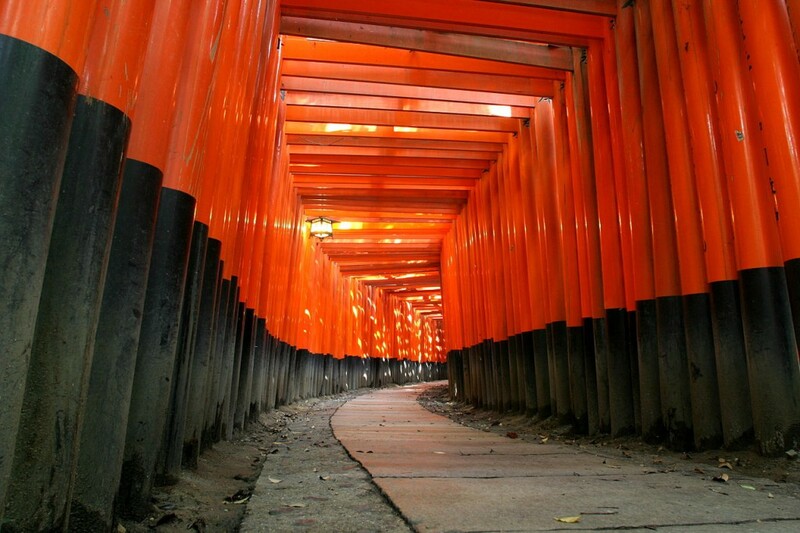 If you will travel to Kyoto around New Year, you should definitely visit there. 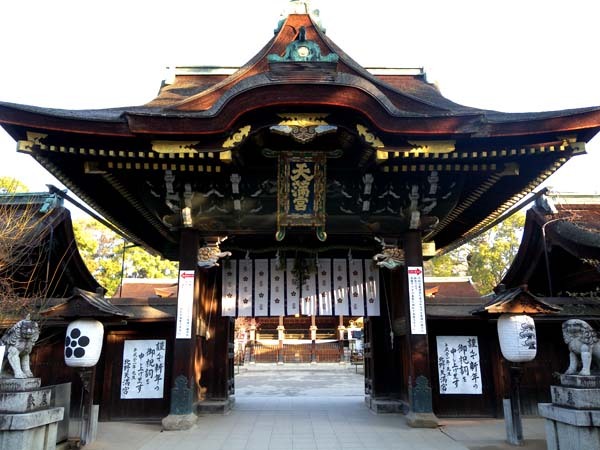 Many local people visit here praying for New Year’s luck and protection from evil. 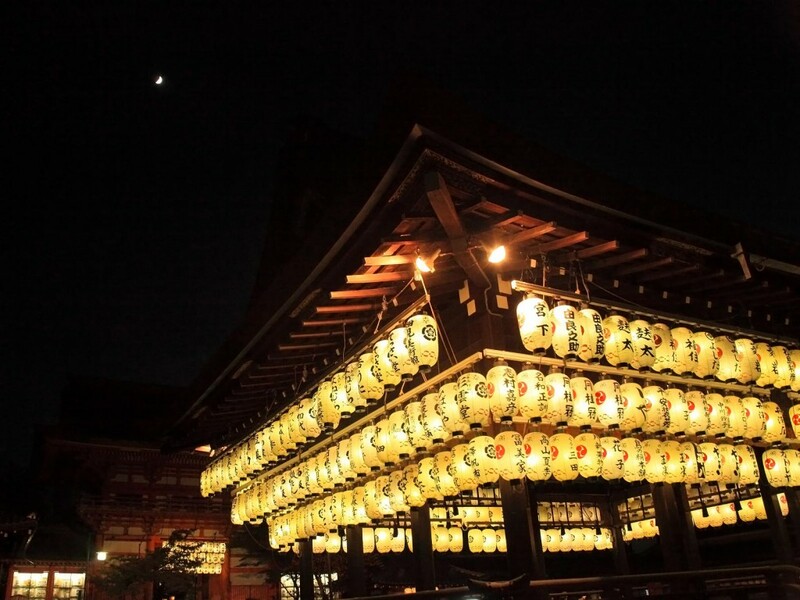 It’s very convenient to access and has a lot to see around, as it’s located in the center of Kyoto, in Gion area, and next to Maruyama Park (円山公園) and Chion In Temple (知恩院).